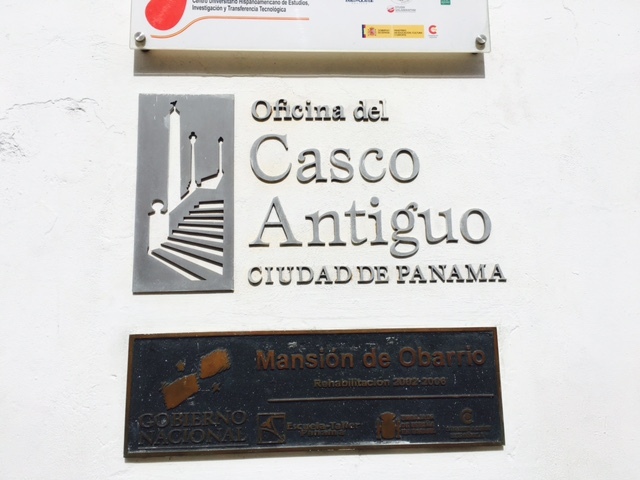 Yesterday, I went to Panama's historic district. From 'Estaction Iglesia del Carmen', I stopped at 'Estacion 5 de Mayo' then from there, I went to the bus terminal 'Estacion Maranon' and waited a bus in Bay J. Just make sure to ask the driver if he will go to Sta. Ana. As per my research, Casco Viejo was a very scary and dangerous district. But eventually, the government took control and made it a famous spot in the city. From 'Parada de Sta. Ana', you can walk and roam the place. First thing you will see is the 'Plaza de la Independencia' which is also known as Plaza Mayor and Plaza Catedral. 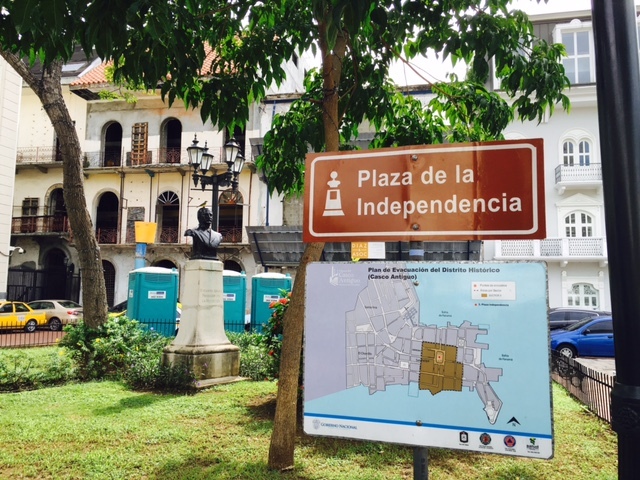 When Panama got their independence from Spain and Colombia, a big celebration was held here. 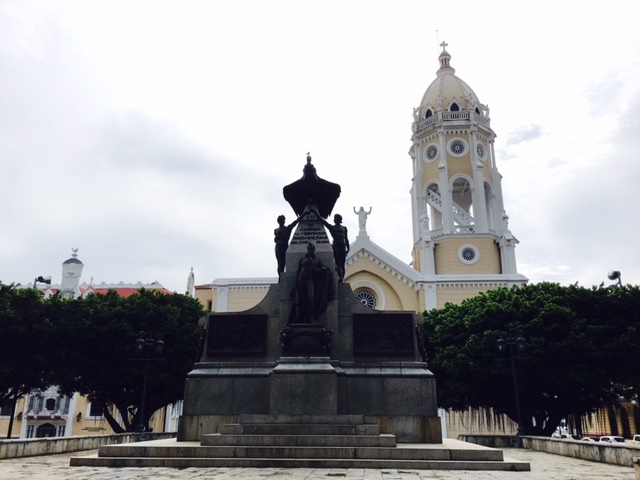 This is the main square in Casco Viejo. 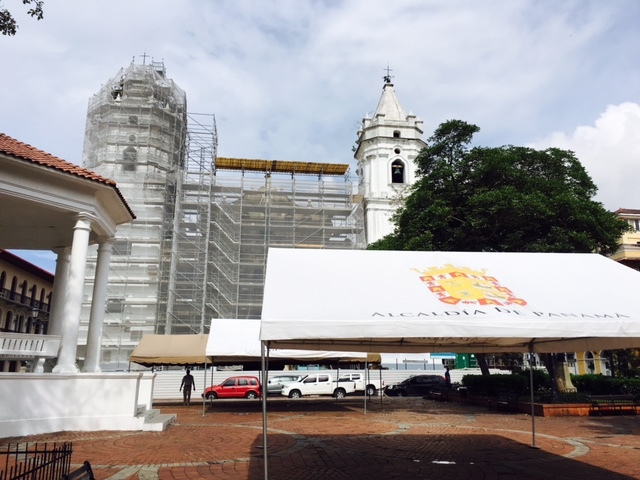 Unfortunately, the 'Catedral Metropolitana' is under construction so I wasn't able to get inside. It is one of the biggest cathedrals in central america. Around this plaza, you will see a lot of colorful structures. The place is also surrounded with restaurants. A local guy approached me and spoke to me in Spanish and fortunately I understood some of his words. He was surprised that I am not a Latino because he said I looked like one. He offered to give me a tour but I declined so he gave me an advise to take extra precaution in the area. I was not worried at all since there are many policemen visible that time. 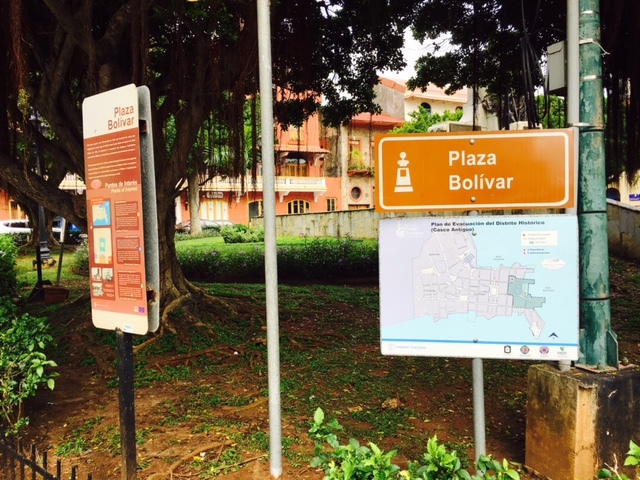 Also in Casco Viejo, you will find the Plaza Bolivar. The plaza is mainly dedicated to Venezuelan general Simon Bolivar who is also known as "Liberator of Latin America". He is a respected hero and helped several countries to fight for freedom and liberation. A special monument was built for him. The square seems to be small, maybe because it is surrounded mainly by cafes and restaurants. 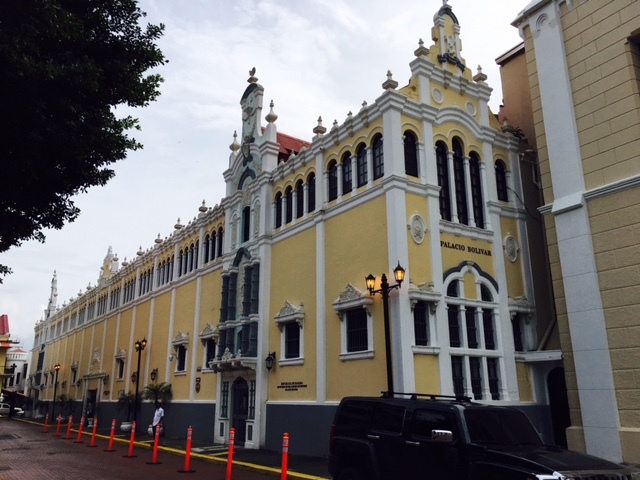 You will also see around the area is the 'Palacio Bolivar' which was originally the office of the Ministry of Foreign Affairs but now a museum that exhibits the political history of Panama. 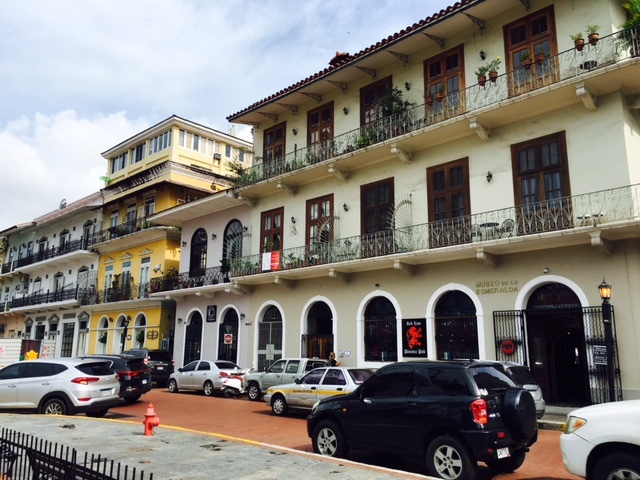 In Casco Viejo, you will find several souvenir shops if you want to buy some, well, souvenirs. It is a good area to just walk around and wonder in every streets and appreciate the old structures and some colorful and vibrant buildings.